The Galaxy S4 Active is a strange beast, a "ruggedized" phone that's more like its flagship namesake than the usual tough-but-cheap phones in this particular segment. With the notable exception of an 8MP rear camera and an LCD screen (instead of AMOLED), it shares all the main specifications with the vanilla version of the Galaxy S4. On top of that, it's waterproof (up to one meter for thirty minutes) and dustproof, and though Samsung makes no particular claims about impact resistance, the thick plastic around the edges should make it at least a little more resistant to shattering than the standard Galaxy S4. All that, and it retains a removable battery and MicroSD card slot, though the software is still stuck on Android 4.2. You can read Android Police's full review here. We think the S4 Active is a pretty good device, if only because it's the singular "tough" phone that doesn't skimp on features and hardware. 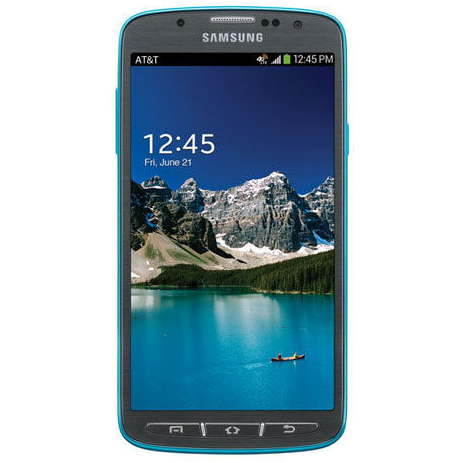 A brand-new Galaxy S4 Active will run you $595 on AT&T's website, and the "certified like new" version is $545. Unlocked GSM versions are running at about $500 on Amazon, and the only one on Swappa is even more expensive than that. This is a great deal if you can live with a refurbished model and AT&T's locked bootloader, especially if you plan on using it on AT&T anyway - you'll save $15 a month. International readers, this seller is shipping outside the US, but there's a long list of exclusions (mostly in Africa). eBay's daily deals tend to disappear without warning, and there's no telling how much stock the seller has. If you want a Galaxy S4 Active on the cheap, you should strike while the iron is hot.